Bocas Del Toro is a group of islands in northeastern Panama. 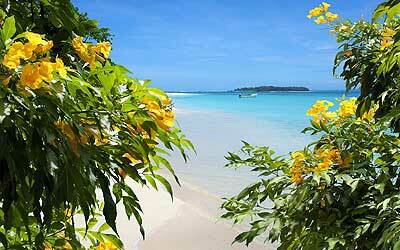 Its warm climate, ocean breezes, vibrant rainforests and pristine beaches make Bocas Del Toro a popular vacation spot. If you’re searching for a Caribbean getaway, we invite you to come explore the majesty of Bocas Del Toro. Christopher Columbus discovered Bocas Del Toro in 1502 while searching for a passage to the Pacific Ocean. Columbus was so enamored with the archipelago’s beauty that he named many sites after himself; places like Isla Colon (Columbus Island), Isla Cristobal (Christopher Island) and Bahia de Almirante (Admiral Bay) just to name a few. Gold wasn’t prevalent on the archipelago, thus the Spaniards didn’t systematically colonize Bocas Del Toro as it had throughout much of Panama. However, conflicts between newly arrived French Huguenots and Spanish militia members during the 17th and 18th centuries eventually led to the virtual demise of Bocas Del Toro’s indigenous tribes. Those who came to Bocas Del Toro in the early-to-mid 19th century supported themselves through fishing and subsistence farming. Three American brothers founded the Snyder Brothers Banana Company in 1890, forever changing the archipelago’s economic landscape. In 1899, the United Fruit Company arrived, taking control of the Snyder Brothers Banana Company. United Fruit cultivated vast plantations across the peninsula throughout the 20th century. It also established roads, canals and bridges, as well as entire cities to house its employees. Today, United Fruit is part of a multinational company, and remains the single largest employer in the province. 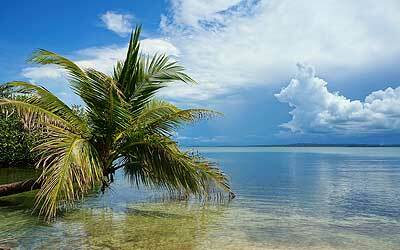 Bocas Del Toro experiences a tropical rainforest climate with warm weather year round. The hottest time of year is typically June, when temperatures reach an average high of 81 degrees. Even during February, Bocas Del Toro’s coolest month, temperatures rarely fall below 77. Winters and summers in Bocas Del Toro are considered rainy seasons, with brief downpours common. Spring and fall months remain mostly dry. Bocas Del Toro is home to three quality educational institutions. Tangerine Educational Center provides a bilingual, multicultural curriculum for both expat and local children from pre-school through elementary school. For an immersion-based education, students may attend Habla Ya for purely Spanish instruction or Spanish by the Sea with both English and Spanish speaking teachers. Panama is very popular for medical tourism, and for comprehensive services most expats choose to travel to David, the second largest city in the country. David is approximately 3.5 hours away by car and twenty minutes by air. Bocas Del Toro “Isla Colon” International Airport provides air travel. The islands of Bocas Del Toro offer some of the world’s best surfing. With perpetually warm waters and swells typically ranging from three to twelve feet, conditions are truly ideal. Whether you’re a novice surfer just looking to get your feet wet or an expert adventurer ready to hang 10, our coral reefs and beach breaks promise a good time regardless of skill level. . Boat charters are available to help you find the very best waves, and our numerous surf shops will make sure you’re appropriately outfitted for the occasion. The crystal-clear waters of the Caribbean Sea attract snorkeling and scuba diving enthusiasts from all over. Discover a vibrant, underwater community of colorful coral, sponges, starfish, crabs and more. Anglers fish the fertile waters off Bocas Del Toro for snapper and tuna. Watch the majestic marine turtles make the trek from their nests to the sea by night. If you’d rather observe creatures of the air, Bocas Del Toro is also home to an array of exotic birds. The red-billed tropic bird, brown pelican, sandpiper, egret, heron and king fisher commonly patrol the coast. Venturing into the jungle will reveal feathered friends like the toucan, parrot, dove, hawk and owl.